. :: Nada aux Jeux Équestres Mondiaux: les aventures d'une Soudanaise en Normandie - 2 ::. 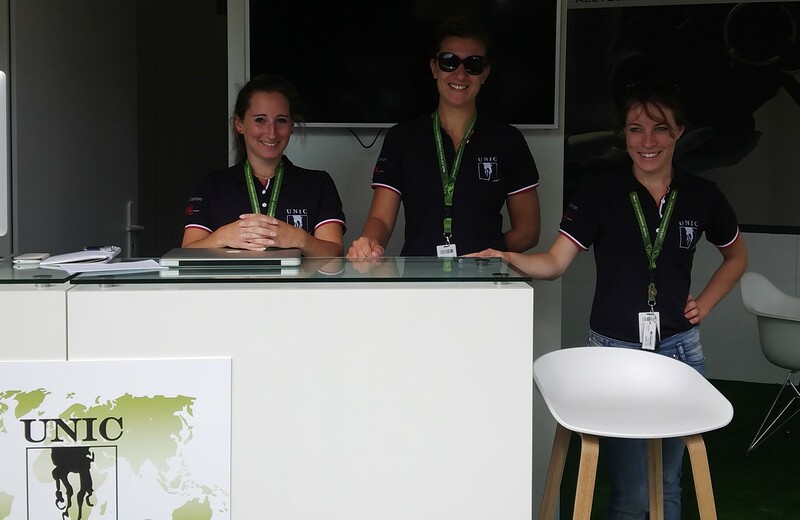 I have thankfully made it safe and sound to France to attend and cover the Alltech FEI World Equestrian Games 2014 in Normandy (August 23 – September 7) with 60 kilos of weight in magazines, tech equipment and a female wardrobe! HORSE TIMES is the official Media Ambassador for the Middle East and our team is here to RE-PRE-SENT! The drive from Paris to Caen took three hours and the weather was freezing and quite grey with heavy showers. Depending on the mood of the skies, the clouds would pass and we would get a little sun. 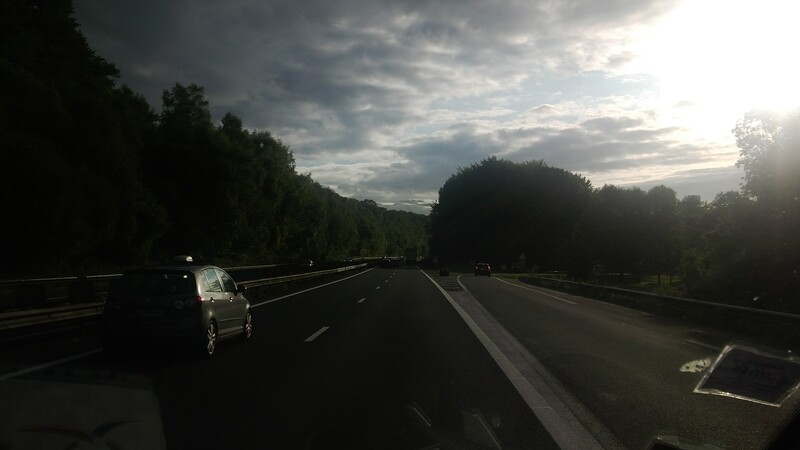 The road was smooth and beautiful, with forests surrounding each sides of the motorway. I shared the shuttle with the Costa Rican Endurance team as well as two Paraequestrian representatives. By the time I checked into my hotel which is a little bit far from the city centre, I was dragging my feet and shivering from the cold (what would you expect? I came from desert temperatures and humidity of 40c!) Settled in, unpacked, and went to the lobby to ask for extra hangers but reception was shut off with a “shutter” and so were hotel gates! The hotel is in a middle of a crop field and apparently, employees leave by 9 pm and there is nothing but utter silence around. If I didn’t sing to entertain myself, Freddie Kruger would have emerged from the fields and sliced me to pieces…. HORSE TIMES is in cooperation with CHEVAL UNIC ( http://www.chevalunic.fr/ ) and thankfully, three of their lovely employees, Axelle Vermoesen and Orianne Auberger picked me up this morning and kept me company. Went to pick up my accreditation as well as my team’s, and the volunteer working there indicated that HORSE TIMES was not listed! Seriously, we have been arranging for this trip since last May, how could that be? It took them a good hour to figure out that there was a system glitch. 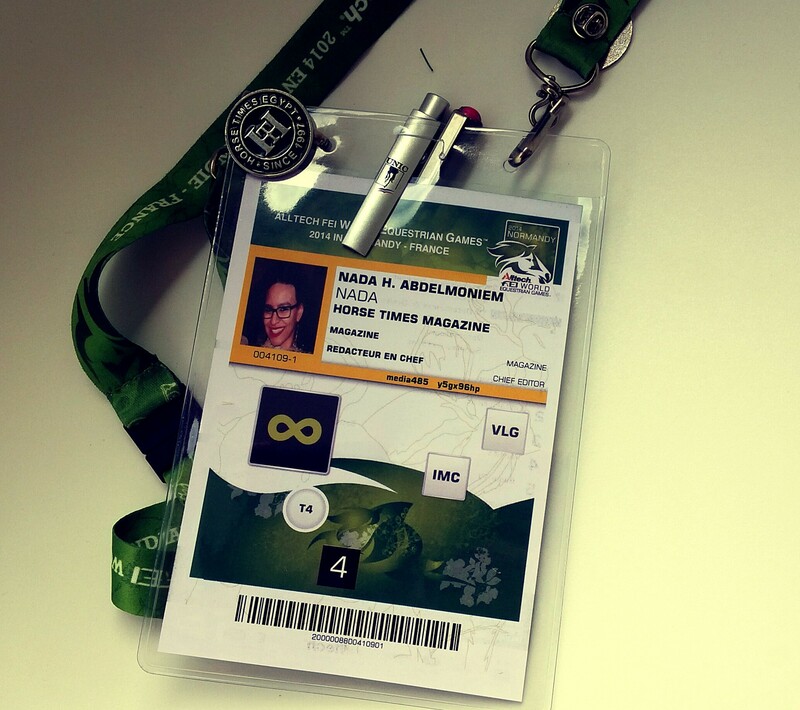 Mind you, thousands of other accrediations were being printed, just to my luck, I had to wait. The Games Village is quite huge and many local and international exhibitors are present to promote their products. 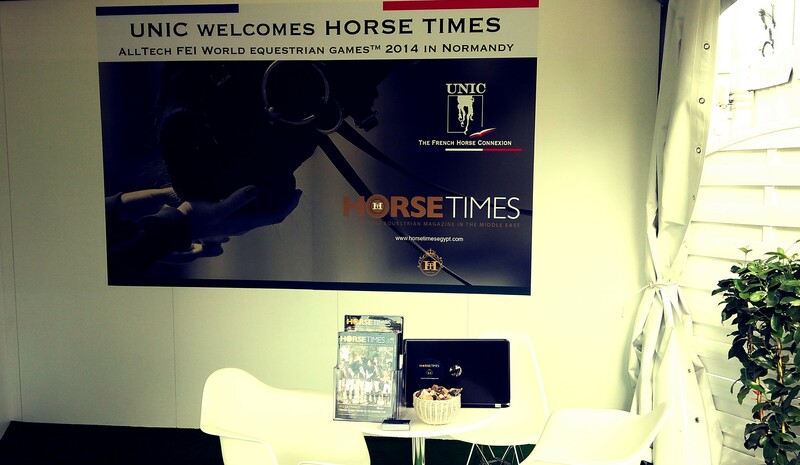 HORSE TIMES has a corner at CHEVAL UNIC’s booth, so if you are at the Games, please pass by to pick some copies. The FEI is here with a lovely booth, food and drinks are available, and music is playing on the background. Tomorrow, the Alltech Music Festival will commence here and Kool and the Gang will be performing! I’m a huge fan and I asked someone from organisation if it would be possible for me to go on stage and sing with them and he said yes! So, see me on telly with one of the best funk bands of all time tomorrow night! The Opening Ceremony will take place tonight at 8 pm at Stade Michel d'Ornano. You can watch it LIVE on FEI TV here http://tinyurl.com/nzfw2bf or on Dubai Sport. I think that is about it for now. Updates soon! And oh….I was joking, I will not be singing LIVE with Kool and the Gang, sniff sniff.